Il fondotinta più morbido mai creato. 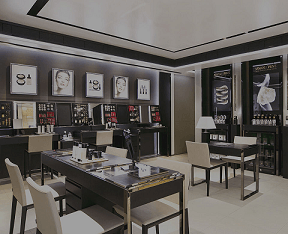 From textiles to cosmetics: Giorgio Armani brings his skills to the world of cosmetic textiles. Using 3D Micro-fil™ technology, this sheer foundation, inspired by the finest chiffon, is the first lightweight foundation with translucent color. Can be worn alone for a more natural effect, or combined with any foundation to highlight the complexion. Discover your true self with face fabric liquid foundation. For normal to oily skin. CEW 2009 Face Product Prestige Award Winner. Cosmetic Executive Women Beauty Award Winner. Nei giorni in cui non prevedi di truccarti, applica Face Fabric per un risultato rapido e dall'effetto naturale.